35004001 EX20U-3 HITACHI EX20U-3 Crawler excavator. Spare Parts Catalog. Service (workshop) Manual. Operator's Instruction Manual. 35004002 EX20UR-3 HITACHI EX20UR-3 Crawler excavator. Spare Parts Catalog. Service (workshop) Manual. Operator's Instruction Manual. 35004003 EX30UR-3 HITACHI EX30UR-3 Crawler excavator. Spare Parts Catalog. Service (workshop) Manual. Operator's Instruction Manual. 35004004 EX40UR-3 HITACHI EX40UR-3 Crawler excavator. Spare Parts Catalog. Service (workshop) Manual. Operator's Instruction Manual. 35004005 EX55UR-3 HITACHI EX55UR-3 Crawler excavator. Spare Parts Catalog. Service (workshop) Manual. Operator's Instruction Manual. 35004006 EX60-3 HITACHI EX60-3 Crawler excavator. Spare Parts Catalog. Service (workshop) Manual. Operator's Instruction Manual. 35004007 EX60LCK-3 HITACHI EX60LCK-3 Crawler excavator. Spare Parts Catalog. Service (workshop) Manual. Operator's Instruction Manual. 35004008 EX60LCT-3 HITACHI EX60LCT-3 Crawler excavator. Spare Parts Catalog. Service (workshop) Manual. Operator's Instruction Manual. 35004009 EX75UR-3 HITACHI EX75UR-3 Crawler excavator. Spare Parts Catalog. Service (workshop) Manual. Operator's Instruction Manual. 35004010 EX75URLC-3 HITACHI EX75URLC-3 Crawler excavator. Spare Parts Catalog. Service (workshop) Manual. Operator's Instruction Manual. 35004011 EX75US-3 HITACHI EX75US-3 Crawler excavator. Spare Parts Catalog. Service (workshop) Manual. Operator's Instruction Manual. 35004012 EX100-3 HITACHI EX100-3 Crawler excavator. Spare Parts Catalog. Service (workshop) Manual. Operator's Instruction Manual. 35004013 EX100-3C HITACHI EX100-3C Crawler excavator. Spare Parts Catalog. Service (workshop) Manual. Operator's Instruction Manual. 35004014 EX100M-3 HITACHI EX100M-3 Crawler excavator. Spare Parts Catalog. Service (workshop) Manual. Operator's Instruction Manual. 35004015 EX120-3 HITACHI EX120-3 Crawler excavator. Spare Parts Catalog. Service (workshop) Manual. Operator's Instruction Manual. 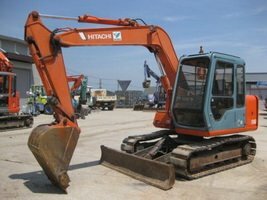 35004016 EX120-3C HITACHI EX120-3C Crawler excavator. Spare Parts Catalog. Service (workshop) Manual. Operator's Instruction Manual. 35004017 EX120K-3 HITACHI EX120K-3 Crawler excavator. Spare Parts Catalog. Service (workshop) Manual. Operator's Instruction Manual. 35004018 EX200-3 HITACHI EX200-3 Crawler excavator. Spare Parts Catalog. Service (workshop) Manual. Operator's Instruction Manual. 35004019 EX200-3C HITACHI EX200-3C Crawler excavator. Spare Parts Catalog. Service (workshop) Manual. Operator's Instruction Manual. 35004020 EX200-3E HITACHI EX200-3E Crawler excavator. Spare Parts Catalog. Service (workshop) Manual. Operator's Instruction Manual. 35004021 EX200K-3 HITACHI EX200K-3 Crawler excavator. Spare Parts Catalog. Service (workshop) Manual. Operator's Instruction Manual. 35004022 EX200H-3 HITACHI EX200H-3 Crawler excavator. Spare Parts Catalog. Service (workshop) Manual. Operator's Instruction Manual. 35004023 EX200LC-3 HITACHI EX200LC-3 Crawler excavator. Spare Parts Catalog. Service (workshop) Manual. Operator's Instruction Manual. 35004024 EX200LC-3C HITACHI EX200LC-3C Crawler excavator. Spare Parts Catalog. Service (workshop) Manual. Operator's Instruction Manual. 35004025 EX200LCH-3 HITACHI EX200LCH-3 Crawler excavator. Spare Parts Catalog. Service (workshop) Manual. Operator's Instruction Manual. 35004026 EX220-3 HITACHI EX220-3 Crawler excavator. Spare Parts Catalog. Service (workshop) Manual. Operator's Instruction Manual. 35004027 EX220LC-3 HITACHI EX220LC-3 Crawler excavator. Spare Parts Catalog. Service (workshop) Manual. Operator's Instruction Manual. 35004028 EX300-3 HITACHI EX300-3 Crawler excavator. Spare Parts Catalog. Service (workshop) Manual. Operator's Instruction Manual. 35004029 EX300-3HHE HITACHI EX300-3HHE Crawler excavator. Spare Parts Catalog. Service (workshop) Manual. Operator's Instruction Manual. 35004030 EX300-3C HITACHI EX300-3C Crawler excavator. Spare Parts Catalog. Service (workshop) Manual. Operator's Instruction Manual. 35004031 EX300H-3 HITACHI EX300H-3 Crawler excavator. Spare Parts Catalog. Service (workshop) Manual. Operator's Instruction Manual. 35004032 EX310H-3C HITACHI EX310H-3C Crawler excavator. Spare Parts Catalog. Service (workshop) Manual. Operator's Instruction Manual. 35004033 EX300H-3C HITACHI EX300H-3C Crawler excavator. Spare Parts Catalog. Service (workshop) Manual. Operator's Instruction Manual. 35004034 EX300LC-3 HITACHI EX300LC-3 Crawler excavator. Spare Parts Catalog. Service (workshop) Manual. Operator's Instruction Manual. 35004035 EX300LC-3C HITACHI EX300LC-3C Crawler excavator. Spare Parts Catalog. Service (workshop) Manual. Operator's Instruction Manual. 35004036 EX300LCH-3 HITACHI EX300LCH-3 Crawler excavator. Spare Parts Catalog. Service (workshop) Manual. Operator's Instruction Manual. 35004037 EX310LCH-3C HITACHI EX310LCH-3C Crawler excavator. Spare Parts Catalog. Service (workshop) Manual. Operator's Instruction Manual. 35004038 EX310H-3C HITACHI EX310H-3C Crawler excavator. Spare Parts Catalog. Service (workshop) Manual. Operator's Instruction Manual. 35004039 EX400-3 HITACHI EX400-3 Crawler excavator. Spare Parts Catalog. Service (workshop) Manual. Operator's Instruction Manual. 35004040 EX400-3C HITACHI EX400-3C Crawler excavator. Spare Parts Catalog. Service (workshop) Manual. Operator's Instruction Manual. 35004041 EX400H-3 HITACHI EX400H-3 Crawler excavator. Spare Parts Catalog. Service (workshop) Manual. Operator's Instruction Manual. 35004042 EX400LC-3 HITACHI EX400LC-3 Crawler excavator. Spare Parts Catalog. Service (workshop) Manual. Operator's Instruction Manual. 35004043 EX400LCH-3 HITACHI EX400LCH-3 Crawler excavator. Spare Parts Catalog. Service (workshop) Manual. Operator's Instruction Manual. 35004044 EX400LCH-3C HITACHI EX400LCH-3C Crawler excavator. Spare Parts Catalog. Service (workshop) Manual. Operator's Instruction Manual. 35004045 EX550-3 HITACHI EX550-3 Crawler excavator. Spare Parts Catalog. Service (workshop) Manual. Operator's Instruction Manual. 35004047 EX550LC-3 HITACHI EX550LC-3 Crawler excavator. Spare Parts Catalog. Service (workshop) Manual. Operator's Instruction Manual. 35004048 EX600H-3 HITACHI EX600H-3 Crawler excavator. Spare Parts Catalog. Service (workshop) Manual. Operator's Instruction Manual. 35004049 EX600LCH-3 HITACHI EX600LCH-3 Crawler excavator. Spare Parts Catalog. Service (workshop) Manual. Operator's Instruction Manual. 35004050 EX1100-3 HITACHI EX1100-3 Crawler excavator. Spare Parts Catalog. Service (workshop) Manual. Operator's Instruction Manual. 35004052 EX1800-3 HITACHI EX1800-3 Crawler excavator. Spare Parts Catalog. Service (workshop) Manual. Operator's Instruction Manual. 35004053 EX3500-3 HITACHI EX3500-3 Crawler excavator. Spare Parts Catalog. Service (workshop) Manual. Operator's Instruction Manual.